Last night I had a vividly strange science fiction dream. Like with most of my dreams, and dreams in general I guess, it was hard to recall all the details in the morning and this one was no exception, but in the nutshell the scene started with me in some science lab, describing the idea of how to effectively make a tiny hole in the universe. It was pretty simple - I was using four Tesla coils, perfectly positioned in the corners of the large square, edges abut couple of meters long and with a small, battery sized, two metal plates positioned in its center of the square. 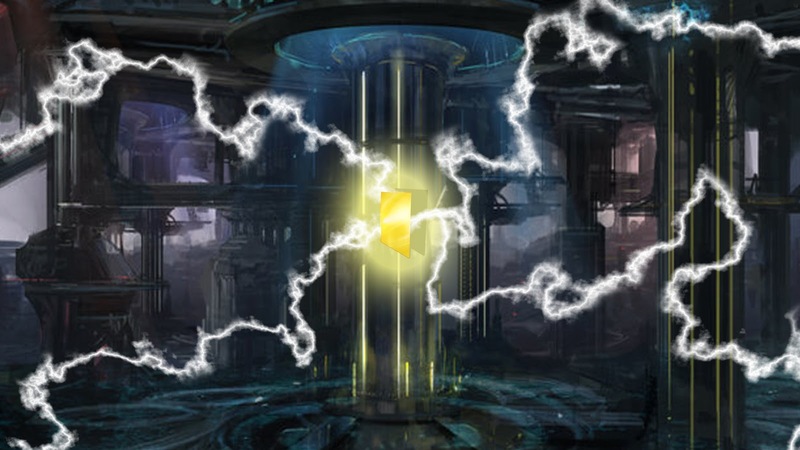 At the precise moment, Tesla coils fires four filaments of thunder, reaching the center point exactly between two metal plates in the same time, initiating a process that in the end brings into being a tiny breach in the universe that I was describing in the dream as a brane between dimensions and within the void between multiverses. Anyway, in the process, one plate goes from metallic through dark and eventually invisible while the other started immediately to glow and emit light and other sorts of radiation. I was explaining in my dream that the breach positioned one plate just outside of our universe while the other staid here. Most of the pairs of virtual particles that was popping between two plates all the time out of vacuum are torn apart by the invisible plate making them real particles from that point and attracted one toward itself, while the second particle is always attracted by the other plate creating radiation and the glow in the process. 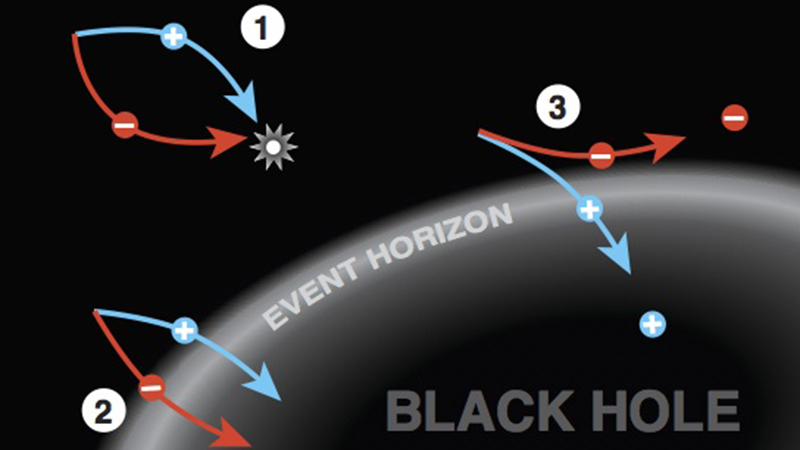 Very similar to the Hawking radiation emitting from the event horizon of the black hole. Even though those two plates were positioned very near to each other, after the Tesla coils did the job by breaching the universe, they staid in different realms from that point, keeping relatively close distance between them and finding new equilibrium even when coils were shut down. Our plate was then taken out of the square center, wrapped in the bigger case and used as a battery that never drains. Or to be precise not until the invisible plate in the system that is always outside of our universe depletes itself by doing its job of separating the particles, but it was explained in the dream to be extremely slow process that takes centuries, even if the battery is used to generate lots of power, like empowering entire city blocks. But seriously and Sci-fi aside, let's see why virtual particles are one of those quantum properties I think we still wait to understand fully. First of all, they are not really virtual per se, they differ from real particles only by their short existence in time. Aside from that, they can have some or even all properties of the real particles, including mass, but so far it is not really possible to observe virtual particles due to their short life. However, in sub-atomic world, virtual particles are often found in diagrams invented by Richard Feynman that revolutionized theoretical physics by their simplicity to explain what was really happening during the quantum events. Well, I am not pretending that I understand what really happens in the universe, but mainstream science of the current date says, and I am trying to paraphrase it, that all that is around us and within us and at any point in time is just one soup of various fields. Like the Higgs field I talked about once earlier on the blog. Or gravitational field. Or in this post story and this particular case electromagnetic field. Any field, by definition is a region in space (and time?) that is affected by some force. At any point in the field. It also means that field is a region in space that contains energy. Now, electromagnetic field is not something that can occupy certain part of the space. It is literally everywhere. It is fundamental field that is actually in the background of the entire universe and not just in places with matter. Everywhere. Even in the vacuum where nothing tangible exists. Some places contain more energy than another with vacuum being a place with the electromagnetic field in its lowest energy state. Not zero. Now, keep with me, it gets interesting - let's compare this field with actual soup that is always boiling. If you are looking the surface of the boiling soup you will see bubbles and fluid filaments all over the surface but at some places are heavier and more powerful and at the other places calmer and more peaceful, but always boiling and moving. If we were able to glimpse a closer look and magnify the surface to see it on even smaller scale, we would see that entire surface is in chaotic state of constant wibbling, wabbling, wobbling, blooping and bubbling*. The same is with electromagnetic field. The stronger wabbles are what we identify as electromagnetic radiation that propagates forward (and in case of our soup outside the pot to the kitchen floor) while the tiny wibbling are just a short lived emission of photons or failed radiation if you will. That tiny failed radiation is possible thanks to quantum mechanics that allows temporary violations of conservation of energy, so one smaller particle can become a pair of heavier particles and in case of photon - it goes from changes of being a wave, a mediator particle with no mass or a pair of heavier particles - couple of electron and positron (or pair of quark and antiquark with radiation of one gluon). What exactly and when it happens is dependable of the ongoing process and energy levels of the system but in the case of the lowest energy state of vacuum we know that heavier particles are popping all the time and due to the uncertainty principle, those virtual particles always appear in pairs. They are borrowing the energy from the vacuum and immediately collide and annihilate themselves, repaying the energy in order not to violate the laws of thermodynamics. These stream of virtual particles "coming out of vacuum and diving back" is well known quantum feature known as quantum fluctuations of the electromagnetic field. Now, those virtual particles popping out into short existence are coming pretty randomly - and in all possible wavelengths which bring to "the surface" a vast amount of energy, due to their short life normally invisible to us. If we position two uncharged metal plates very near to each other (less than micrometer), only those virtual particles whose wavelengths fit a whole number of times into the gap emerge between the plates, while outside, without limitations, all of possible wavelengths are accounted for. The result is that energy density between the plates is way less than energy density of the surrounding space and immediately a tiny force appears and starts pulling the plates toward each other. 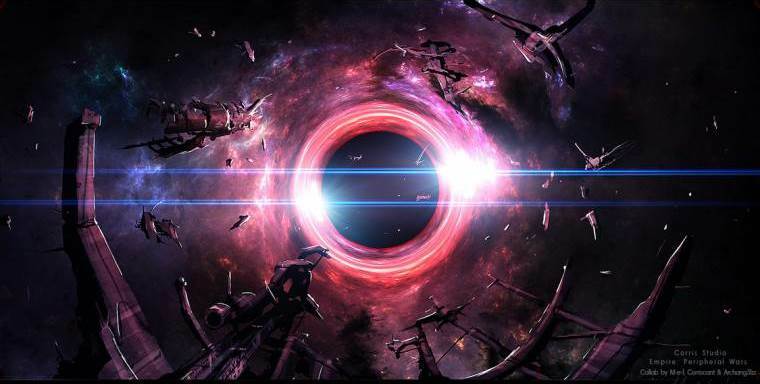 This force is named "Casimir force" and entire system "Casimir effect". 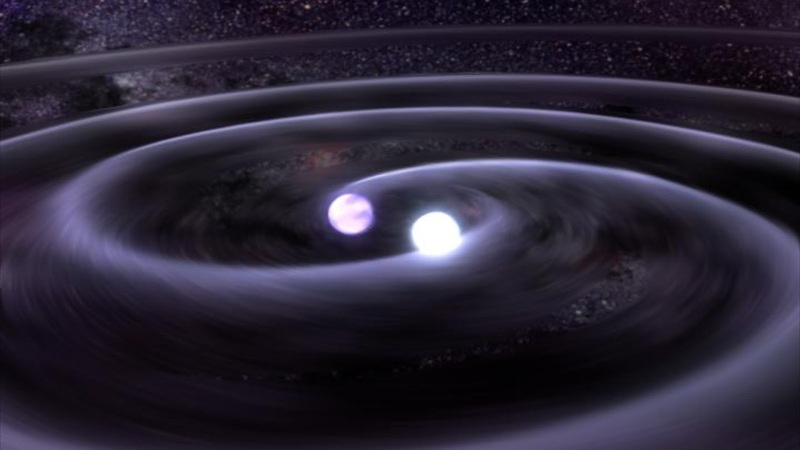 On the first glance, it doesn't look strange - the same effect can be made with two plates in water that with small waves created by sonic generator** are pulling toward each other as well - but keep in mind that actual Casimir experiment is performed in vacuum - with no single atom of matter between or outside the monitoring system and plates are uncharged. So the "only effort" we need to do is to put it very near to each other and they will start moving. The force is tiny though - for example for the one square meter plates apart by just one micron the force is 1.3 mN*** (weight of 1kg is about 10N). The force is stronger for bigger plates and with shorter distance in between. However, one potential propulsion engine, built on the principles of the Casimir effect with even a tiny but constant push like this one, is comparable with ion engines that creates thrust by accelerating ions with electricity. 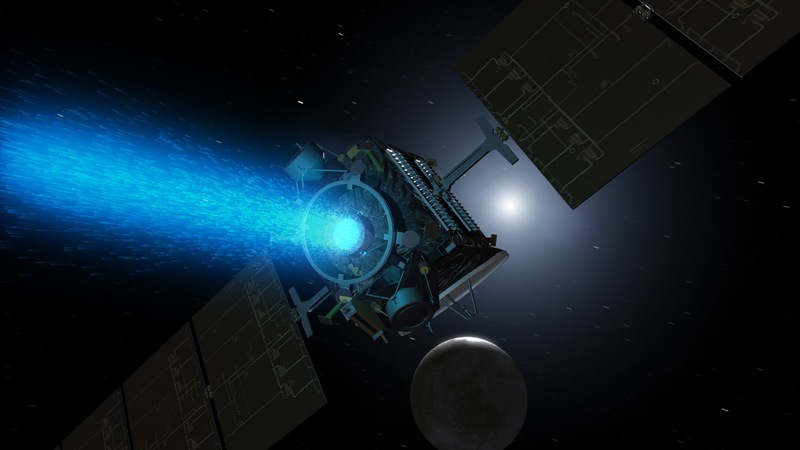 For example, "Dawn", the spacecraft that recently arrived in the asteroid belt was propelled by three xenon ion thrusters, each with the force of only 90mN. Eventually after more than 8 years of travel it accumulated acceleration over the mission to more than 10 km/s (41,260 km/h) which is pretty fast for a tiny push (even though it used other means of acceleration like gravity boost while transiting Mars). It carried almost 400kg of xenon for the ion trust engine but potential Casimir engine of the future would need none of such payload. Its propellant would be the very vacuum of spacetime and its pairs of virtual particles. Of course, the real application would come with separating virtual particles like in my dream or what black holes seems to do**** on daily basis. If there is a way to make virtual particles real, the millinewtons will instantly loose that 'milli' prefix and be equipped with the one more powerful (perhaps 'kilo' or 'mega') and that will be something extraordinary. Something that in science fiction has a cool acronym. ZPE. Zero Point Energy. Surely, we must find other means to deal with this than by creating tiny black holes to do the job for us, but thankfully quantum world is always full of surprises and perhaps one day we will build a machine that is capable to take the energy out of vacuum safely and small in size, relatively speaking. Perhaps another quantum effect will be helpful for this job, the one that use interactions between hydrogen electron and virtual particles called Lamb shift. But that is a story for another time.